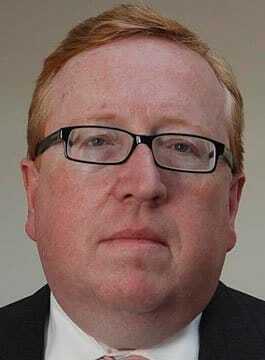 Simon Heffer is Chief Political columnist of the Daily Mail. From 2005 until 2011 he was Associate Editor at The Daily Telegraph. He regularly appears on television and radio programmes such as Question Time and Any Questions, and has presented numerous radio and television documentaries on politics, history and culture. Born in 1960, he was educated King Edward VI School, Chelmsford and Corpus Christi College, Cambridge, where he read English. He holds a PhD from Cambridge University in modern history. After a spell as a medical journalist and freelance leader writer for The Times, Simon Heffer joined The Daily Telegraph, where until 1991 he worked as a leader writer and parliamentary sketch writer. In 1991 he was appointed Deputy Editor and Political Correspondent of The Spectator where he stayed until 1994. From 1991 to 1994 he was also a columnist on The Evening Standard, and from 1993 to 1994 a columnist on The Daily Mail. In 1994 he returned to The Telegraph as deputy editor and as a weekly political columnist, before switching to The Daily Mail as Chief Political Columnist in 1995, where he remained until 2005. His highly acclaimed biography of Thomas Carlyle, Moral Desperado, was published by Weidenfeld and Nicolson in 1995. In 1998 they also published two more of his books, firstly his definitive account of the life of Enoch Powell, Like the Roman, followed by Edward VII: Power and Place. Nor Shall My Sword – The Reinvention of England was published in 1999, and Vaughan Williams, a short biography of the composer, in 2000. He edited Great British Speeches, which was published by Quercus in May 2007. Simon’s most recent books are Strictly English: The Correct Way to Write… and Why It Matters published by Random House in 2010; and A Short History of Power, a work on international relations, published by Notting Hill editions in 2011. His social, intellectual and political history of mid-19th century Britain, High Minds: The Victorians and the Birth of Modern Britain will be published by Random House in September 2013.